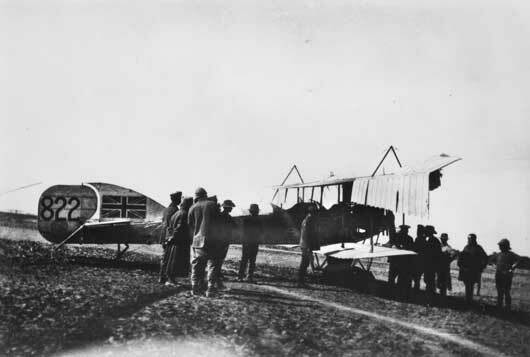 Shortly after the outbreak of war in 1914, the Australian Flying Corps (AFC), sent one aircraft to German New Guinea but the Germans surrendered before the aircraft could even be unpacked. On 8 February 1915, the Indian government requested air assistance from Australia. 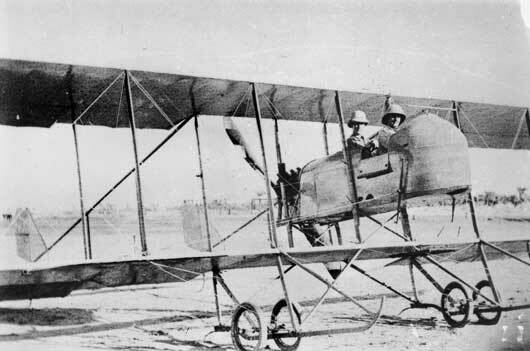 The AFC could only provide four officers and ground staff for what became known as the Mesopotamian Half-Flight or the Australian Half-Flight. The contingent was provided with aircraft by India and on 27 May the AFC undertook its first operational flight. Lieutenant G. P. Merz was the first Australian airman killed after his plane was forced down with engine trouble on 30 July. 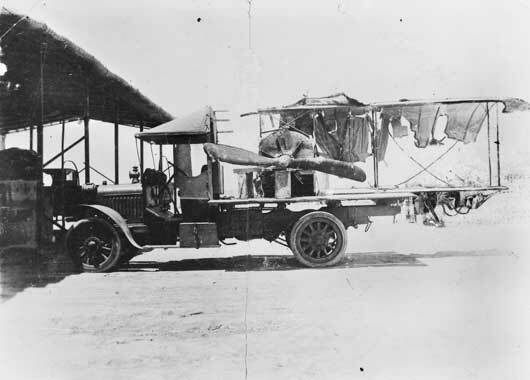 After the capture of Kut on 27 September, the AFC moved there but lost two aircraft with their crews taken prisoner. Outside Baghdad, the Turks counter attacked and forced the Indian Army back to Kut which was besieged on 4 December. By this time the AFC was down to one pilot and one aircraft and was withdrawn to Egypt. Of the nine Australian air mechanics that were captured when Kut surrendered just two survived the war. By the time the war had ended, four AFC squadrons had distinguished themselves in the Palestine campaign and on the Western Front. On 31 March 1921, the Australian Air Force (granted the Royal prefix in August), the successor of the Australian Flying Corps, became the third independent service. 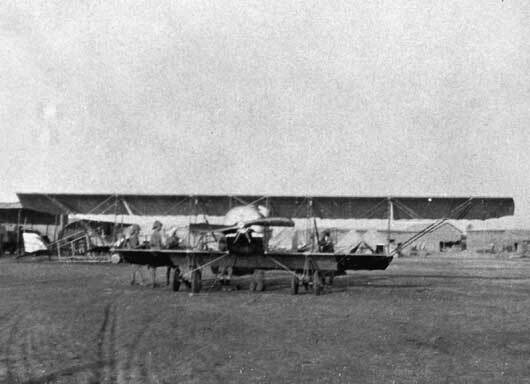 A Caudron G III aircraft piloted by Lieutenant G.P. Merz leaving Basra for the attack on Nasiriyah (AWM A02263). The remains of Lieutenant G.P. Merz's Caudron being transported on the back of a truck after it had been hacked by hostile Arabs during a forced landing (AWM A02264). 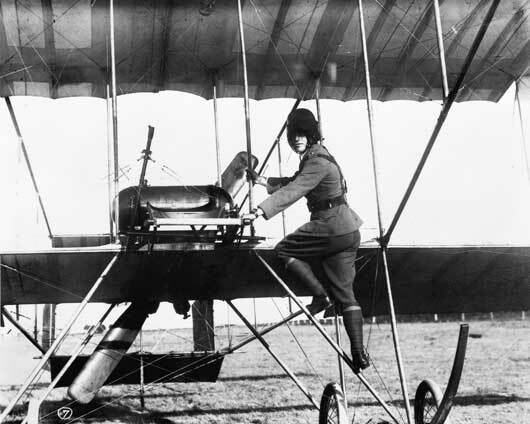 Lieutenant George Pinnock Merz climbing aboard a Bristol Boxkite aircraft, during training at Point Cook, Victoria in 1914 (AWM A03918). 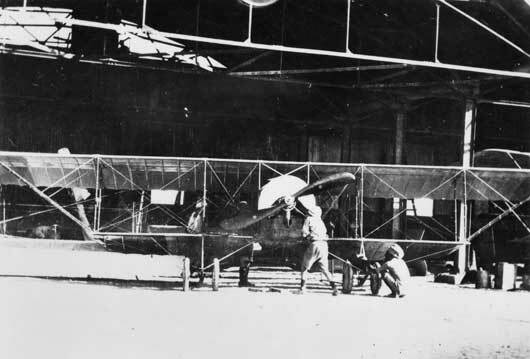 Two unidentified air mechanics working on a Caudron aircraft in a hanger, used by the Half Flight in Mesopotamia (AWM A04131). Members of the Half Flight gather around a Short 827 seaplane, which has been converted to land bomber configuration (AWM A04135). Two unidentified members of the Half Flight seated in a Maurice Farman Shorthorn aircraft (AWM A04136).